Many classic breakfast foods are high in fat. Eggs, bacon and full-fat dairy contain saturated fat, which can wreck a low-fat diet. But that's no reason to skip breakfast altogether. People who eat breakfast actually have a better chance of managing their weight. Plan a healthy, fat-free breakfast that will help fuel your morning activities and keep you satisfied until your next meal. For a fat-free breakfast, hard-boil four eggs. 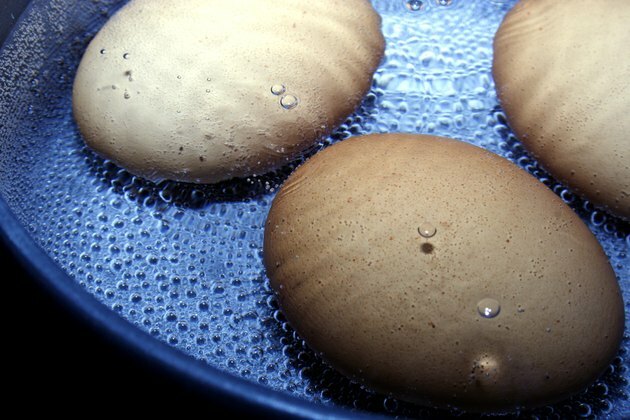 Run the eggs under cold water to peel them, and then split them open to remove the yolks. 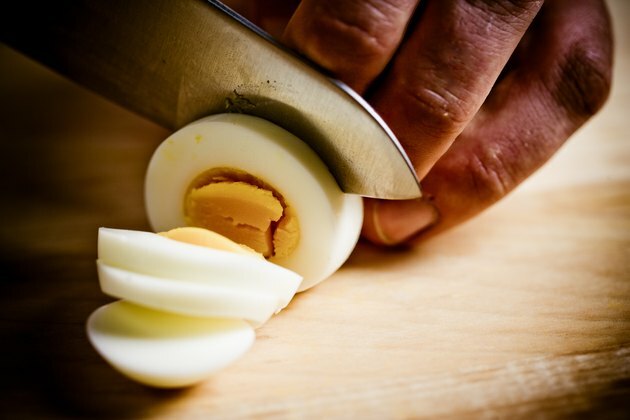 Chop the egg whites and toss them with salt and pepper. 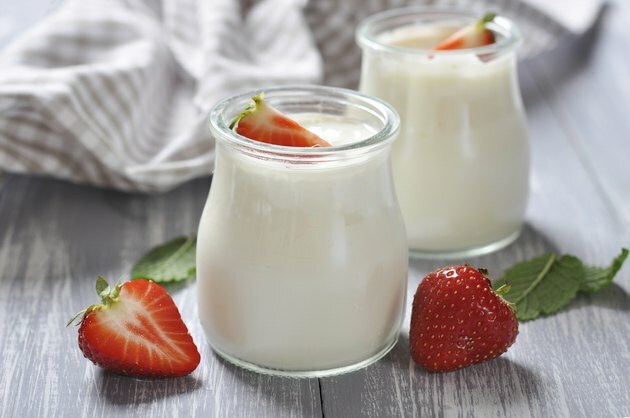 Have a cup of plain, nonfat yogurt topped with 1 cup of sliced strawberries in addition to the egg whites. This breakfast contains 304 calories and only trace amounts of fat. You get 27 g of slow-digesting protein from the egg whites and yogurt to help keep you feeling full. The breakfast also contains 32 g of carbohydrates, which provide you with energy. The strawberries provide more than 100 percent of the daily value for vitamin C, based on a 2,000-calorie diet. The strawberries also give you 3 g of fiber, which helps with digestion, satiation and cholesterol regulation; and 40 mcg of folate, a B-vitamin essential to red blood cell health and the prevention of certain birth defects. The breakfast provides more than 800 mg of potassium, a mineral that helps regulate the balance of fluids and other minerals in your body. The yogurt counts toward your daily milk servings and provides 488 mg of calcium. Many fat-free processed breakfast foods include added sugars and carbohydrates to replace the missing fat. 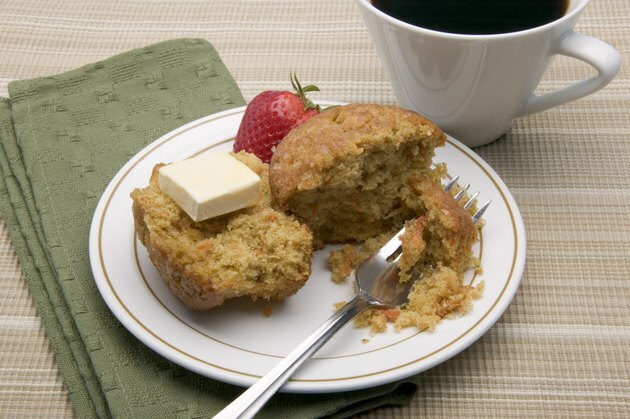 Fat-free cereals and muffins may contain just as many calories as their fat-containing counterparts, but are higher in sugar and less satisfying. 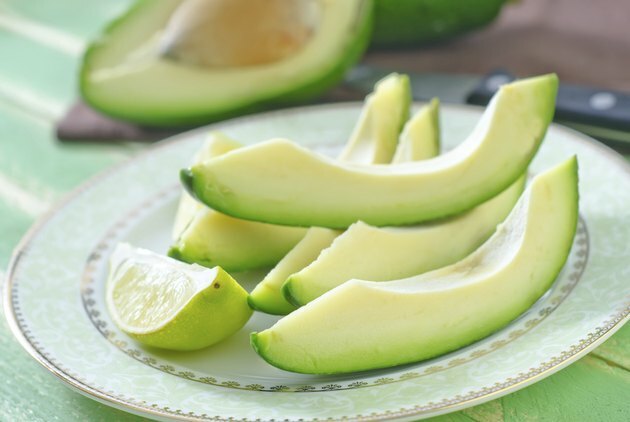 You still have to monitor your calorie intake when eating fat-free foods. Choosing whole, naturally fat-free foods, such as egg whites, berries and yogurt, is a healthier option. While you may want to start your day fat free, remember that fat is a macronutrient essential to healthy body functioning. The Institute of Medicine recommends that a minimum of 20 percent of your daily calories come from healthy fats, specifically the unsaturated types found in plant oils, nuts, fatty fish and avocados. Keeping your fat intake to a minimum at breakfast is fine, but be sure to include some fat in later meals or snacks during the day.